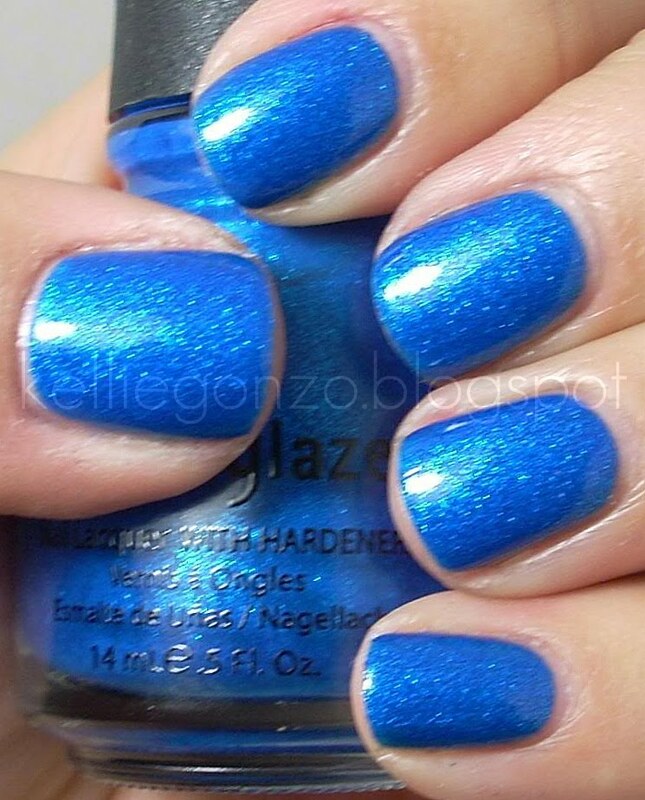 china glaze does it again, hitting a polish outta the park with me :) this baby is blue sparrow, from the INK collection (awesome). it's neon blue that reminds me of blue razberry candy or something. and it has bright blue GLITTAH :) it dries matte as it is a neon, and it's pretty gritty so a topcoat is essential. a lot of people dislike this guy, but i la la love him. i think this might be my favorite neon ever. 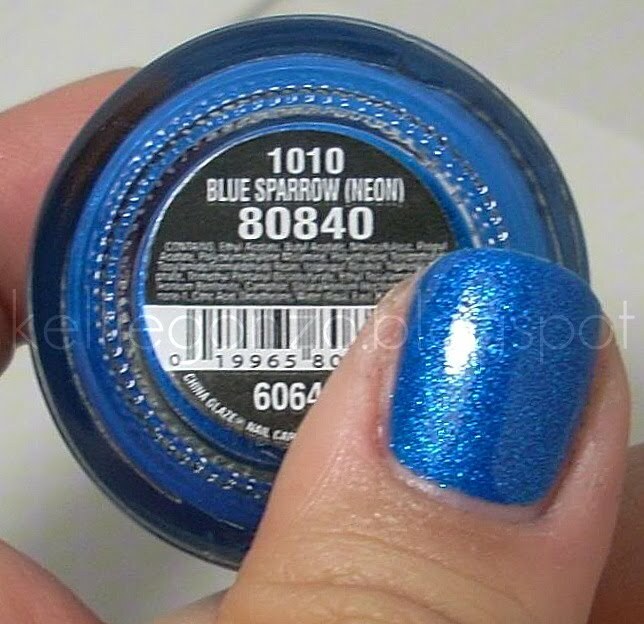 well, it might be tied with ultra violet from color club. what's your favorite neon polish?